How do you help a decades-old environmental remediation firm break ground? As Charter, an environmental remediation firm headquartered in Boston, MA, approached their 20th year in business, they reached out to us about bringing their website and recently developed logo into alignment. Named one of Boston’s Top Places to Work, Charter understood the importance of putting its people first, and wanted to showcase not only the firm’s groundbreaking projects, but also the people that make them happen. We spent time in Charter’s Boston office and had the opportunity to understand their core values—safety, integrity, innovation, and a willingness to take risks. We recognized their unwavering commitment to improving the environment with innovative solutions, and their focus first and foremost on safe practices. What happens when you use a logo to build a brand? While Charter’s logo highlighted the unique environmental work that the firm does, their messaging needed to be brought into alignment. We began by building off of the logo to expand Charter’s color palette, and we crafted messaging that reflected their mission and values, emphasizing the firm’s renowned expertise with complex, high visibility projects. We pulled our brand discoveries together to design and develop a custom, mobile-friendly website that incorporated these new visual elements, while serving as a powerful showcase for Charter’s work. One of the goals of the new website was to highlight the people that make every project a success, both in the office and in the field. We accomplished this by including the ability to tag people in photos throughout the site and highlight key team members on project pages. We also created a “Join Us” section that showcases the company culture and provides quotes from team members to help with talent acquisition efforts. 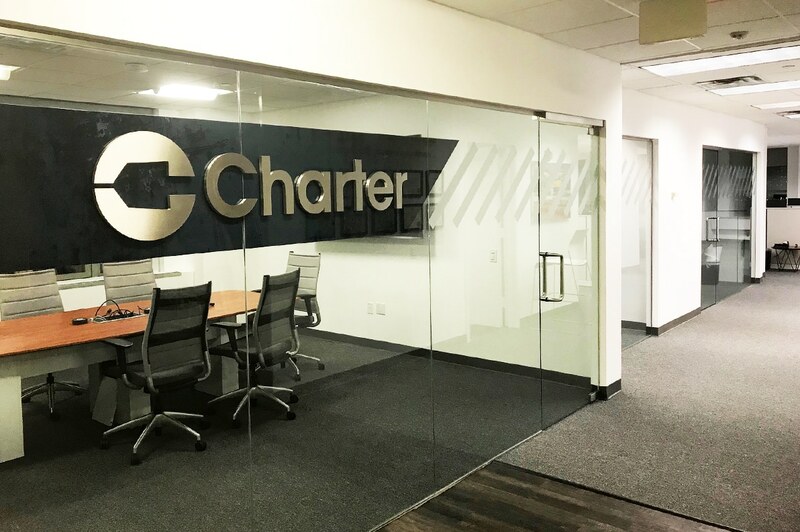 Once the website launched, Charter’s leadership wanted to bring the online brand to life in their office space. 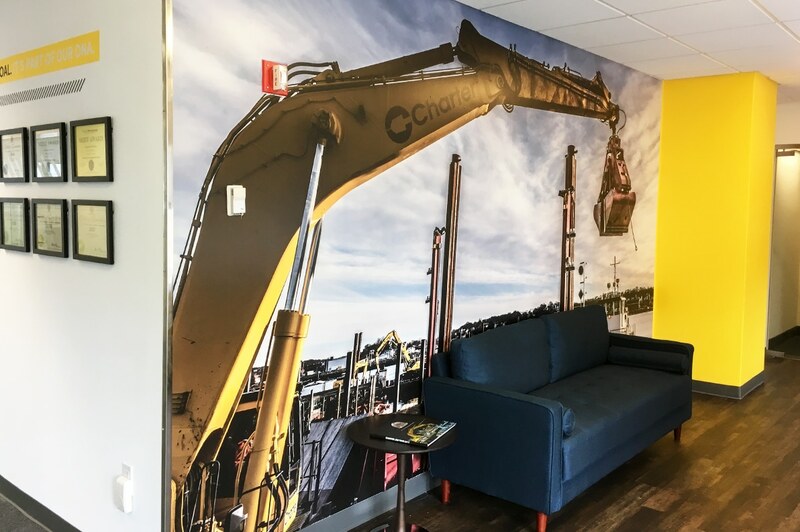 We started with their New Jersey office and created full wall graphics, vinyl letter messaging and beautiful canvas prints of their featured case studies to create a “wow” factor for clients and employees alike. What happens when you seek fresh solutions? Our website for Charter features a responsive design, integration with MailChimp for newsletter signup forms, a sortable project portfolio with both projects and long-form case studies, and an intriguing careers section for optimum talent acquisition. 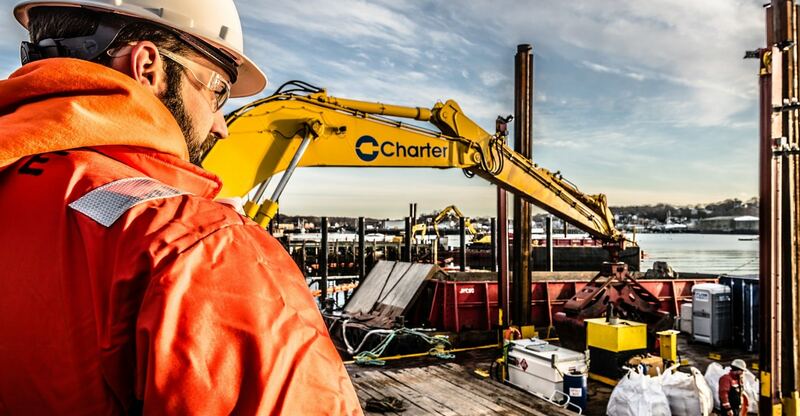 An award-winning environmental remediation firm, Charter now has a website as impactful as its many impressive projects. In February of 2018, Charter was awarded a National Construction Risk Partners Build America Award from the Association of General Contractors, illustrating the firm’s continued success in the construction industry.